The app store is filled with apps that improve lives across the world, but some of the most trending and popular are dating apps. Sure, health is great, but you can use dating apps to find a partner, meet new friends, make casual hookups or even just enjoy a summer break fling! Everyone wants to meet up with people that have the same mindset as them, and this is exactly what the best dating apps for iOS do. They help bring you closer to people who have a similar set of interests. They use questionnaires and location data to match you with the best possible candidates. Check out: 10 best dating apps for Android! Depending on where you live, some apps may be more popular than others. Make sure you check out several apps on the list to maximize your chances of finding a match. Without further ado, here’s our list of the best dating apps for iOS. Released in 2012, Tinder has become increasingly popular over the years as it now has 50 million users. It is a location-based app that finds suitable matches for you based on your distance from other singles. As soon as you log in, the app will start showing you profiles of potential matches. To match with someone, you just have to swipe right. To pass and move onto the next profile, you swipe left. If you swipe right, the app will direct you to a private chat window where you can start a conversation. The biggest advantage of using Tinder and the reason it's first on our list of best dating apps for iOS is its huge user base. This means that there is a better chance for you to find someone who is really compatible with you and shares the same interests. This dating app was founded in 2004 and lists a staggering 1 million plus app installs almost every week. OkCupid has a more conventional way of pairing people if compared to other dating apps. The app asks you a few questions to figure out your interests, likes, and dislikes. Based on your answers, the app finds suitable matches of people that have similar areas of interest. Through in-app purchases, you can unlock some premium features that include viewing people who like your profile and refined search tools. Do you want to meet that person you just passed by at the coffee shop? Then you should definitely download Happn. This location-based app works to pair you up with people that you come across in real life. If you have a potential match within 800 feet, then they will show up on your app as a suggestion. It makes things easier because it's much more likely that you match with people that hang out at the same places. It can be your favorite bookshop, coffeehouse, or even your favorite burger hut. You might think there's some danger of stalkers, but there's no need to worry. Happn does not reveal your location to other users. With 35 million monthly users, this app is ideal not only straight people but also gays and lesbians. The free version of this app has limited features, but if you wish to take advantage of the other features this app has to offer, then you can choose one of its monthly subscription plans. Match has millions of like-minded people with whom you can connect and strike a conversation making it a great dating forum. It wouldn’t be wrong to call Bumble a woman-oriented app as 46.2% of the users on this app are women. However, if you are female then this app will give you an upper hand. You are only given 24 hours to initiate a conversation with a match, so you can contact just those that you're really interested in. There is a special 'BFF' feature on the app which lets you extend your social circle and create a bond with people that have similar choices as you. In the case of homosexuals, either one of the two paired people can start the chat. However, since Bumble is not very popular in many areas, you may have trouble finding a match depending on where you live. Based in San Francisco, this app allows you to connect with people in a different fashion. The app delivers a match, or 'bagel', every day to you by noon. After that, you will have two options to either 'pass' or 'like' the bagel. This app is great if you're looking for something more exciting than swiping right and left. You can unlock some premium features that will allow you to access activity reports of other users. 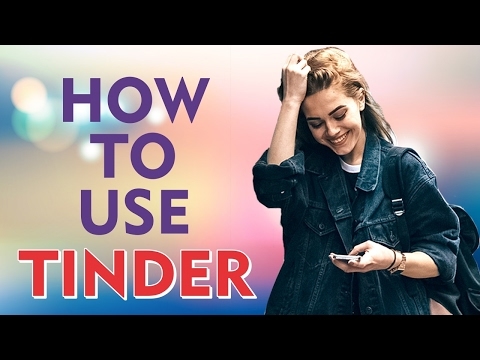 Moreover, it includes viewing read receipts which make this app a better venture and worthy of being included on the list our best dating apps. This is a very popular dating app which is used widely in over 190 countries and has a huge user base of almost 370 million. Badoo has a similar swiping system to Tinder coupled with a very strong verification system. This means that there are no catfishing experiences for subscribers. The premium features make your experience more genuine by adding photos and social media links. 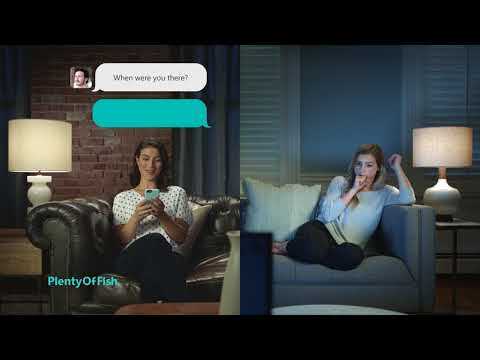 Plenty of Fish sets itself apart by offering a free way to chat with other singles. As a result, it boasts some of the highest conversation rates of all dating apps for iOS. It's available in more than 30 languages, so you're sure to find a match wherever you live. The only downside is that accounts aren't vetted, so you may run into fake accounts attempting to catfish. We have listed down some of the best dating apps for iOS along with their ratings and the features they offer. All the apps are great for dating, starting friendships, or even just finding a one-night stand! As mentioned above, make sure you try out several to find the one that works best for you.